1. 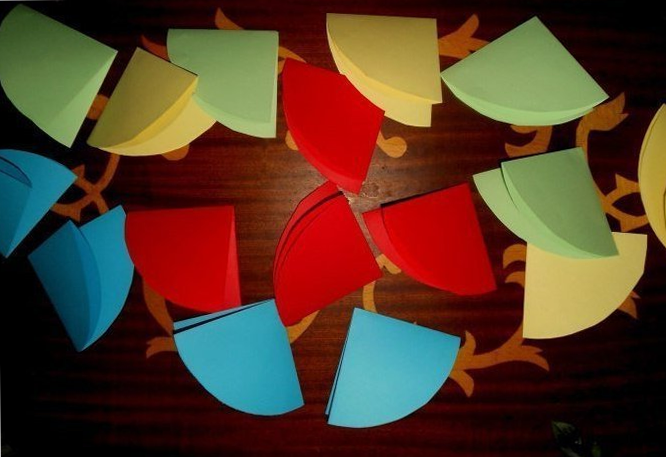 First you need to take a sheet of colored paper, using a plate or saucer to draw a circle on it and cut it. 2. 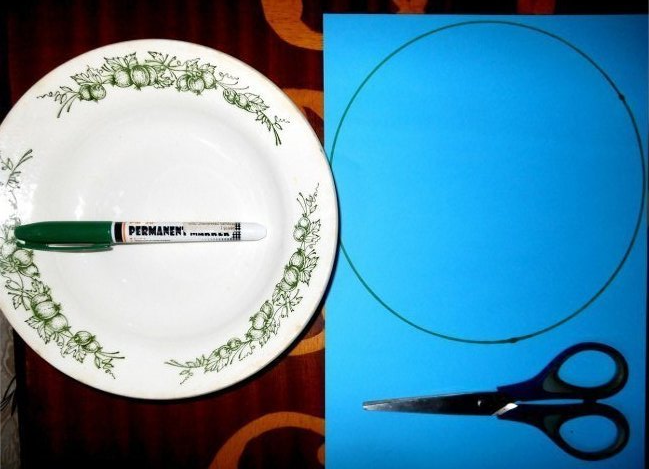 Then fold the cut circle in half and then again in half. 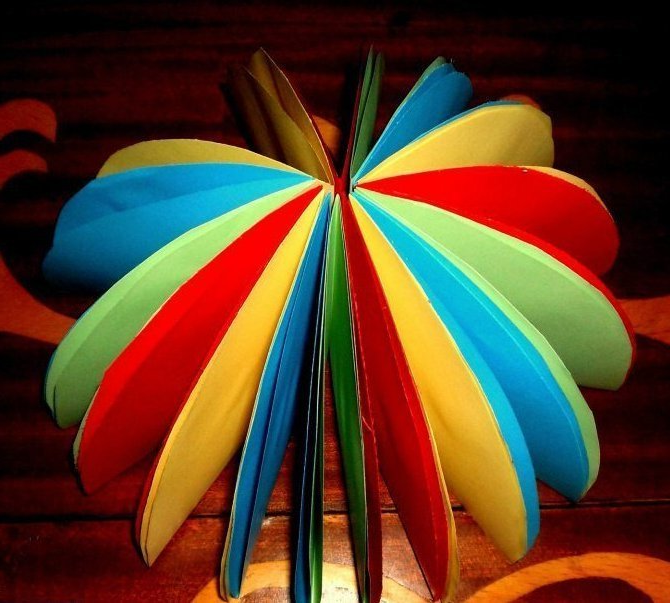 We got one of the main elements of the canopy of the umbrella of paper. 3. Now we need to cook as much as possible similar workpieces, preferably different colors. 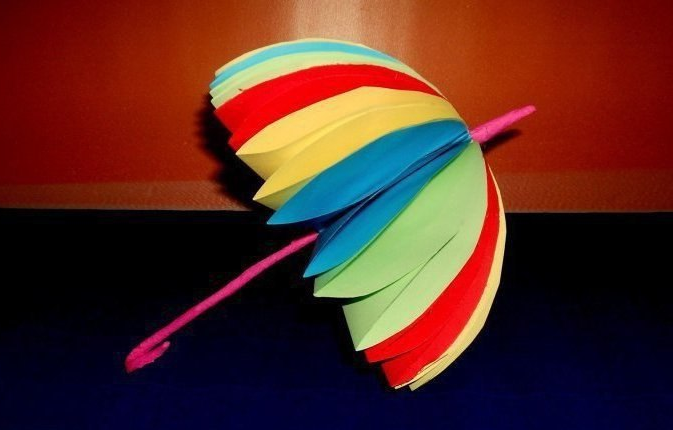 Then the umbrella will look more cheerful. 4. In this picture is marked with a dotted line that part of the workpiece, which we have to grease with glue, the lower part of the element is left dry. At the bottom of the workpiece there should be a part with forked edges. 5. Now it’s time to glue all the elements together, alternating colors. 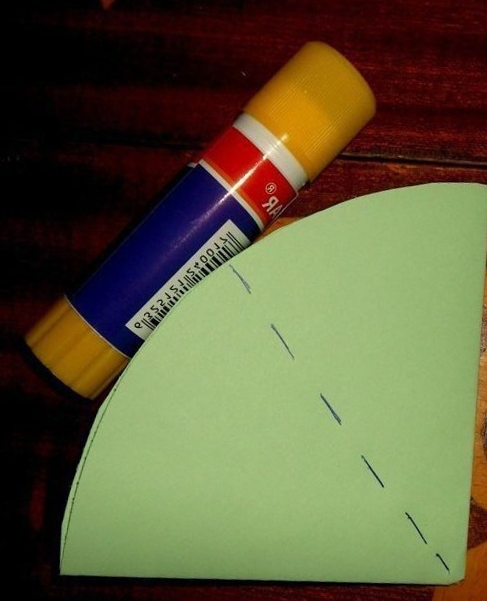 So we’re forming a dome for our paper umbrella. 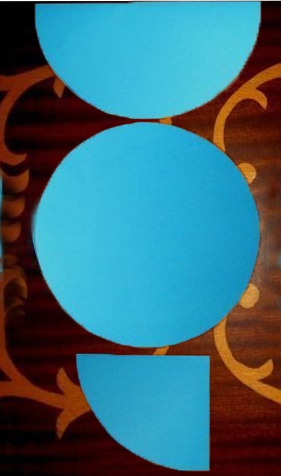 We recommend to use a lot of blanks to make our umbrella turned out voluminous and lush. 6. If you look in the middle of the dome, we will see that there is a small gap. You need to insert a procrastination in it. The bottom of a wire bend so that the handle of an umbrella has turned out. For a more aesthetic appearance it can be wrapped in foil or corrugated wrapping paper. All! 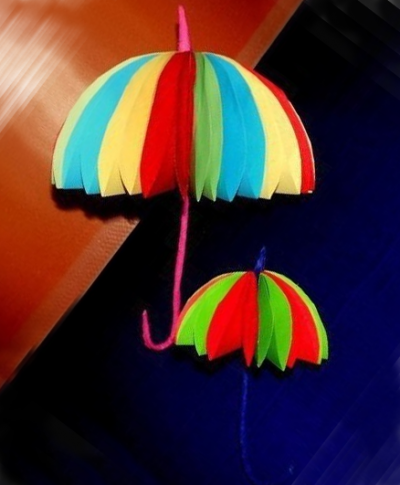 Our umbrella of colored paper is ready! It took us a few minutes of free time to create it.